With the organization’s first ever-event in Cologne, Germany just two months away, the UFC has officially released the 12-bout lineup for their UFC 99 event on June 13th. Former PrideFC 205-pound champion Wanderlei Silva and former UFC 185-pound champ Rich Franklin will headline the card as the two will meet at a catch-weight of 195 pounds. Silva was once one of the most feared fighters in all of MMA. He gained his fame predominately fighting in the 205-pound division, however he has dropped four of his last five bouts, forcing him to consider dropping to the lighter 185-pound division. Franklin is also at a crossroads in his career. He dominated the UFC’s middleweight division before current champion Anderson Silva hit the scene. After being humbled twice by the Brazilian, Franklin and UFC management felt that he would be best served moving back up to the light heavyweight division. 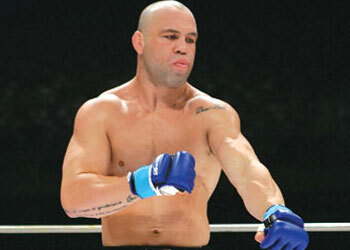 He has since posted a modest 1-1 record, losing his most recent fight to Dan Henderson at UFC 93.